Do you have your “finger on the pulse” of foods that pack a powerful nutritious punch and trending globally? Then you may know that the United Nations has declared 2016 as The International Year of Pulses. But you may not know what pulses are or California's role in the pulse industry. Pulses are leguminous crops harvested solely for the dry seed. They include dried beans, lentils, and peas – those staple, nutritious and humble foods that our ancestors began cultivating more than 10,000 years ago. The United Nations strives to raise awareness about pulses through its slogan, “Nutritious Seeds for a Sustainable Future.” The goals: to draw attention to the protein power and health benefits of pulses, to encourage global food-chain connections to better utilize pulses, to boost the global production of pulses, to better utilize crop rotations, and to address the challenges in the trade of pulses. 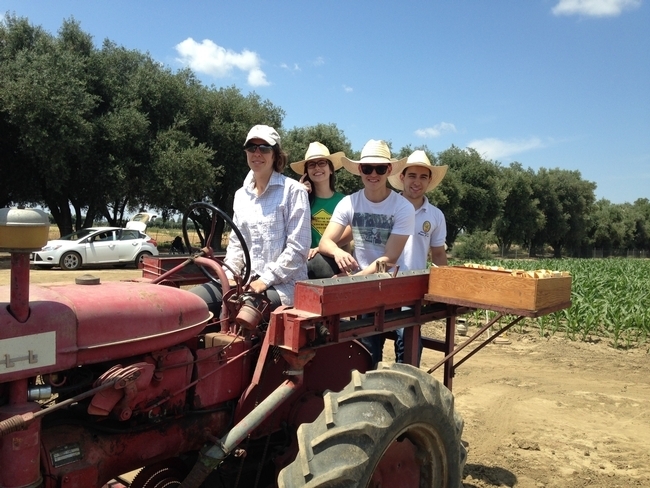 In California, farmers, the dry bean industry, and UC Agriculture and Natural Resources (UC ANR) researchers are doing their part with research and outreach programs that focus on dry bean production. Our state produces four classes of dry beans, including garbanzos (chickpeas), limas (baby and large), blackeyes (cowpeas), and common beans (such as kidney and cranberry) planted on a total of 50,000 acres and valued at about $70 million. While not a big economic force like some crops, beans are nonetheless very important to our farming industry. They are needed in crop rotations to help control weeds and they improve soil health by adding biomass back into the soil after harvest and by fixing nitrogen. 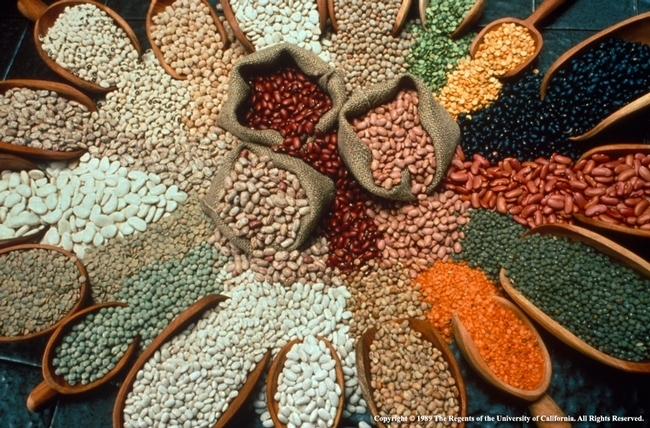 As such, pulses can contribute to climate change mitigation by reducing dependence on synthetic nitrogen fertilizers. Beans also are an important part of our food security. For example, California lima growers produce virtually all of our nation's dry limas, as well as 60 to 80 percent of the world's market. Current UC ANR research focuses on improving integrated pest management of dry beans with minimal impacts to the environment. This includes collaborative studies with UC Davis and UC Riverside scientists to breed pest and disease resistant dry bean varieties that have both high yields and quality. Two new releases of garbanzo beans are expected this year. Additional projects focus on drought and heat tolerance in our warming world. Meanwhile, let us all join forces with the United Nations, UC ANR, and our state's Dry Bean Industry to raise the awareness of the benefits of pulses for a more sustainable world. This starts with adding more beans to our diet. Beans are packed with nutrients. They are high in protein, low in fat, and rich in fiber. They can lower cholesterol and help in the control of blood sugar and in managing diseases like diabetes, heart conditions and obesity. Experiment. Prepare bean burritos often, use a variety of beans in your favorite chili recipe, try humus as a delicious vegetable dip, and garnish your salad with beans. The California Dry Bean Advisory Board website provides terrific bean recipes at http://www.calbeans.org. This we know: beans are pulses vital to our diets, just as our pulse rate is vital to monitoring our health.